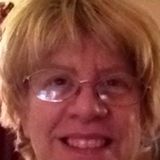 My name is Sue Smith , I am looking for a house sitter position, I do errands, dog sitter and walker, organizer,caregiver, computer teacher. I am a family person , and know that I will treat your home like mine. My family is very close and we get together all the time. I need to have part time/full time time hours . I am a Girl Scout leader and go on trips etc with them. I know I will be a good fit for you. Looking forward to hearing from you. Hey! My name is Gabriel, yes like the angel 😇, Oldest of 5 children and it shows!